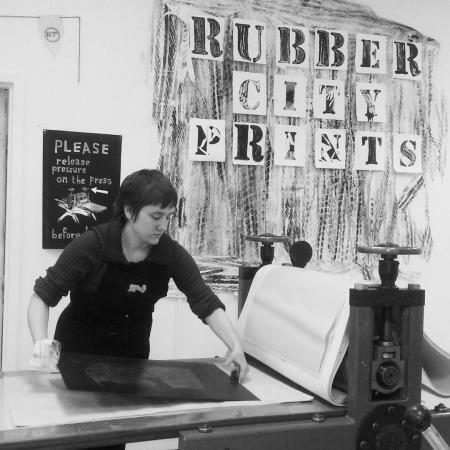 Rubber City Prints is a non-profit fine art print shop in Akron, OH with a focus on printmaking education. We are currently seeking part time internships for the 2018 year, Spring, Summer and Fall. Our internships provide a great experience for students with opportunity for school credit and trade for hours in our print shop. All internships vary in time frame, depending upon experience and availability, and last between 3-9 months. Please be advised that all of our internships are unpaid, school credit only internships. Hours worked can be traded for hours of studio use. All of our interns will work one-on-one with directors, volunteers, instructors and other interns during the internship. All Master’s degree program applicants have chance to work in administrative positions that include planning and coordinating programs, events, workshops and fundraisers. Help to coordinate and schedule workshops with faculty and staff. Help Prepare materials for upcoming workshops. Assist Fine Art Instructors and students at in-house workshops and on-the-go printmaking and art education at local schools, libraries, and group meet-ups. Help set up/volunteer/breakdown fundraisers, event stands, and vendor stands. Run Errands, Donation pick-ups, Promotional Material Distribution to Akron Area. Shop Upkeep, Daily Duties, Weekly Inventory of Supplies and submit weekly reviews. Expand outreach on free posting sites, social media outlets and promotional marketing tools. 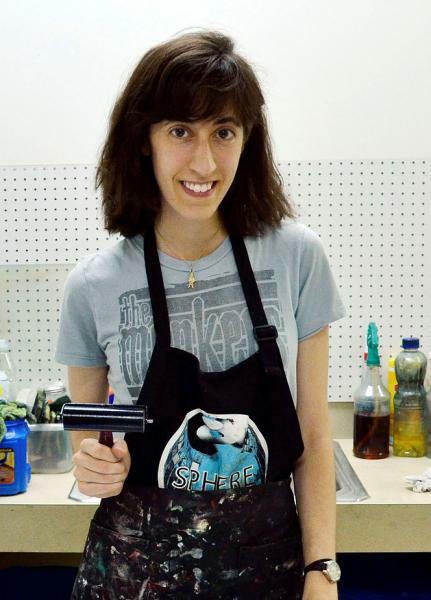 Prepare Open Draw Sets, Create Artwork for Workshop examples, Record works in progress. Help with Set-up/Breakdown of all incoming and outgoing art show and gallery exhibitions hosted by Rubber City Prints. Gallery sit the studio weekly and greet customers, give tours, demonstrations, encourage hands on printmaking and print sales. Our Credit only internship provides a great experience. At RCP you get a trade for hours during your internship for future use of our studio and equipement. You get to sit in as assistants on classes and learn how printmaking can influence the future of your designing career. You will gain access to trainings on teaching, marketing, social media, and non-profit background business. Are you in Akron, OH 44308?